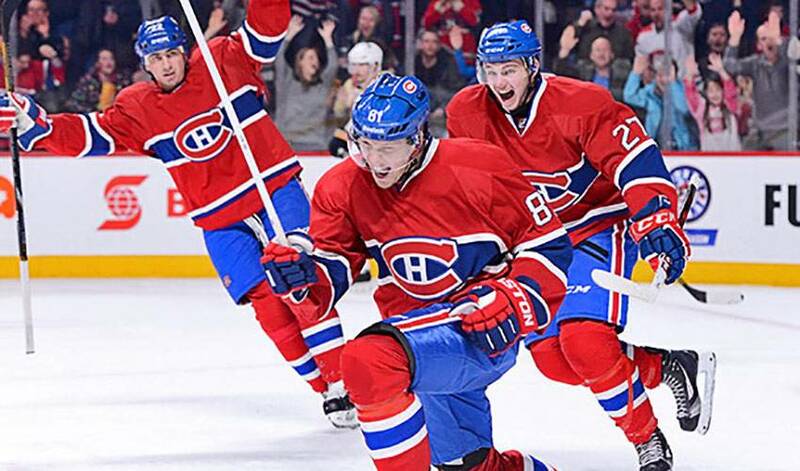 When it comes to understanding meaningful wins, Lars Eller certainly gets the point. He doesn't need to be reminded that points are a precious commodity in a shortened 2012-13 NHL season. But for Eller, it's the way the Habs are earning those points recently that's the impetus for building confidence in him and his teammates. A humbling 6-0 rout on home ice at the hands of Original Six rival Toronto on February 9 was a deflating experience, to say the least. But two wins in a sweep of Montreal's Sunshine State sojourn, coupled with an authoritative 4-1 triumph over the Philadelphia Flyers at the Bell Centre on February 16, delivered a much-needed morale boost, accompanied by six coveted points in the Eastern Conference standings. "When you lose like we did against the Leafs, everyone steps back and you look at ways to make sure that doesn't happen again," said the 23-year-old Eller. "What you focus on is moving on and going out and getting a positive result." Or, in this instance, results. The Canadiens got by Tampa 4-3 (Elller had two assists), recovering to net two points after letting a three-goal lead evaporate. One game later, Rene Bourque scored the overtime winner in a 1-0 win over the Florida Panthers. "It's just what we needed," said Eller, who came to Montreal via a trade with St. Louis on 2010. "The bottom line is to get those two points, but in each game, we were able to find a way to earn them. You never want to blow a three-goal lead. When that happens, the momentum is definitely in the other team's favour. But we stuck with it. We didn't give up." They also stayed the course against the Panthers in a tight defensive contest. "When you head into overtime, anything can happen," offered Eller, the 13th pick in the 2007 NHL Entry Draft. "A bad bounce and you lose. But we managed to get the win. And I think it was another example of how we battled hard. It was great to get those two points as well. I think beyond getting those wins it did a lot for our confidence as a group. The tougher the wins are, the more it gives you a boost." For his part, Eller, who scored four goals on January 4, 2012 (the first Hab to do so since Jan Bulis in 2006), is looking to inject some more offence into his game. But the Danish-born forward, who has one goal and five points in 12 games, isn't hanging his head or second-guessing his game. "I want to contribute more on offence and I know it will come," said Eller. "It's tough when you feel you could be doing more, but we have such a positive dressing room, where everyone supports you. Obviously, the key is to win. That's what we play for, to have success as a group." Pats on the back and words of encouragement have extended beyond the Bell Centre walls. "For sure, everywhere you go in Montreal, people notice you," he said with a laugh. "After we came back from our road trip in Florida, I think there were about three or four people that came up and congratulated me. This is the type of situation you like to be in, where the fans care so much about the game." Eller is hoping the good times continue to roll. And while three-goal wins provide far less drama than one-goal victories, both have their significance. "If you win by a lot, it gives you confidence because there are no easy games in this league. If you find a way to win after letting the other team back in, that is just as important. Any time you go to overtime and go home with the win, it gets you pumped, too."